With the work on the new Battle Palace continuing further by the day, it has become apparent that there is not enough games to fill the area we have. Instead of discussing this with the Events Department, we thought it would be best to ask the users their self. We are asking if anyone has an idea for mini games that could be put into The Battle Palace, to please say so in the comments. If you could also talk about how it would work and what it would look like so we can test it out and see if it is possible. Nothing is too big of challenge for us so feel free to say anything that pops into your head, it could turn out to be something brilliant. While on the topic of events, water attack is close to being finished with its new design and layout. 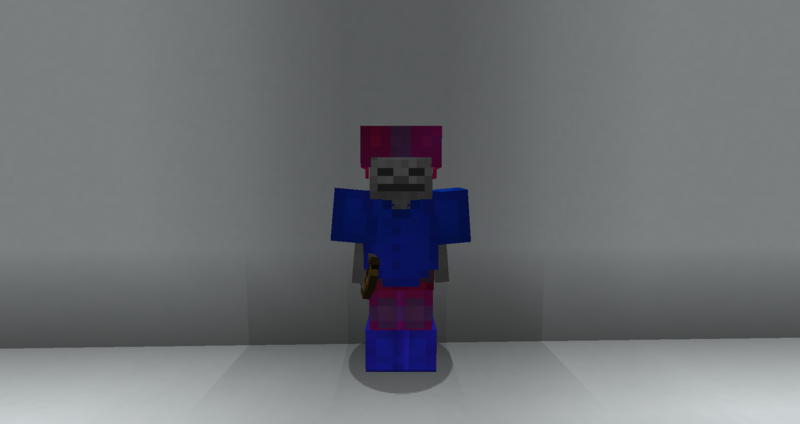 We won't reveal too much yet about the actual event however I have permission to show you some of the new mobs and items that will go along with it. Currently, they are still going to be changed if needed however below is the most up to date statistics on the mobs, the items and their values. This zombie is specialised for use only in water attack. 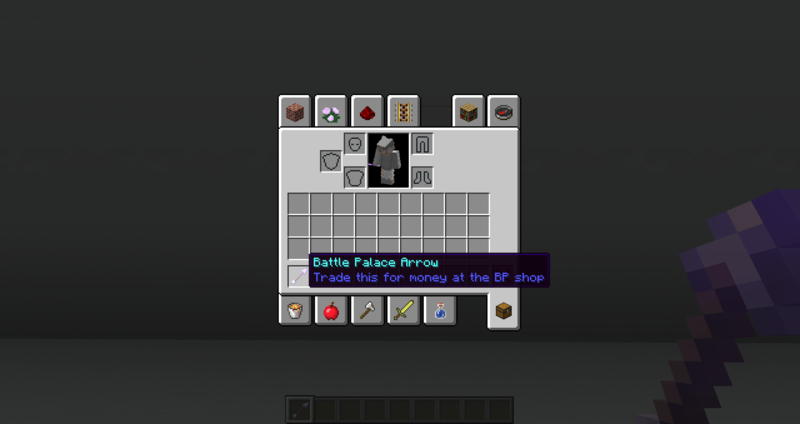 It has been equipped with a full set of protection 3 leather armour in Battle Palace and water colours - mobs in different events will have different colours. When the zombie is attacking the player, it deals 5 damage, or 2.5 hearts when wearing no armour. With a little more punch, we have also added a bit more health which is now at 70, or 35 hearts, a little bit stronger than the original 1 hit kill old water attack ones. It also has an 80% chance of dropping Battle Palace Rotten Flesh. This rotten flesh has the water attack colours to show its from the water attack event and will be able to be traded for 1BP for 1 or 65BP for 64. It has no other tradable abilities at this moment. This skeleton is specialised for use only in water attack. It has been equipped with a full set of protection 3 leather armour in Battle Palace and water colours. When the skeleton is attacking the player, it deals 7.5 damage, or 4.75 hearts when wearing no armour as well as using a punch II bow. We have also added more health at 70, or 35 hearts, a bit stronger than your average skeleton. It has an 80% chance from dropping a Battle Palace Bone and a 50% chance for a Battle Palace Arrow. 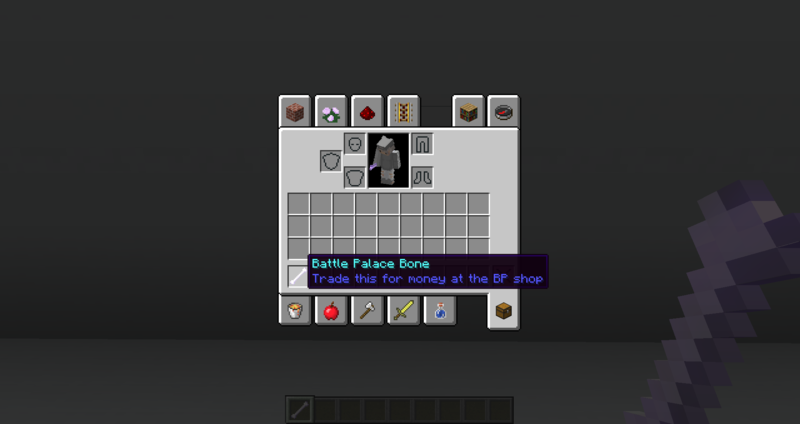 As the skeletons only appear in later rounds, both items are worth 1.25BP for 1 or 80BP for 64, and have no reward for trading in bulk. At this moment, it has no other tradable abilities. 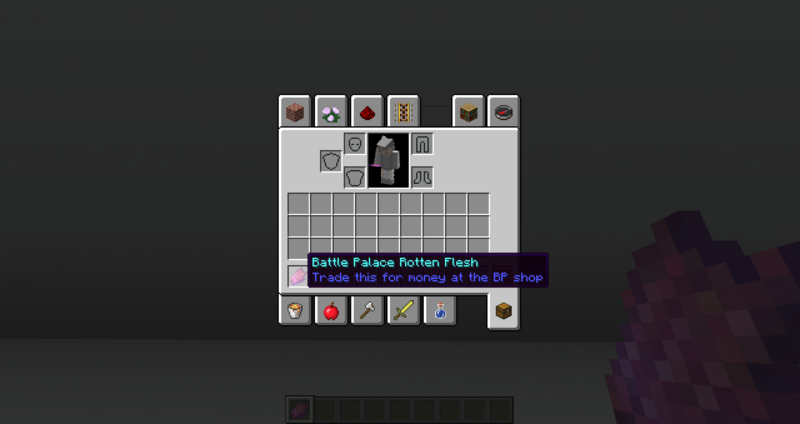 All items also have an enchanted look if you are unable to see in the previews. Thank you for reading and we hope to see all your suggestions below. Please remember none of this is going to be available till 1.13 so the sooner the update comes, the sooner we can use it! They aren't Hunger games big, I think the maximum size would be the original bee kind of size. We are looking for a few minigames that could be put underground so for those ones, it could be bigger. Thanks Arctic! I had to make a huge background because my FOV was kinda big xD. I would have added more light but I haven't added the bit of code stopping the mob from setting alight, so I had to set the time to day and put a cover out of frame covering the sun. If you want to come see BP anytime, message us on forums or whatever, I think you'll like it! Last edited by ~Doodle on Tue Feb 26, 2019 12:09 am, edited 1 time in total.